We get up at 6:30 and leave the hotel at 8:30. We drive to Paria Bureau of Land management to inquire about a permit to walk to the wave. Unfortunately, they don’t have any left for tomorrow. We continue on Hwy 89 and then turn left into Paria Canyon, a 31 mile gravel road. After about 10 miles we stop and explore the area on foot to maybe find out why you need to register if you want to hike into the area of Coyote Butte. What we find might be a valuable reason: petrified wood! We walk around for a while, nick a few small pieces and then return to our car. Further down the road we stop to take some pictures of vermilion rock formation sticking out of the ground. Otherwise we agree that we wouldn’t drive this road again. 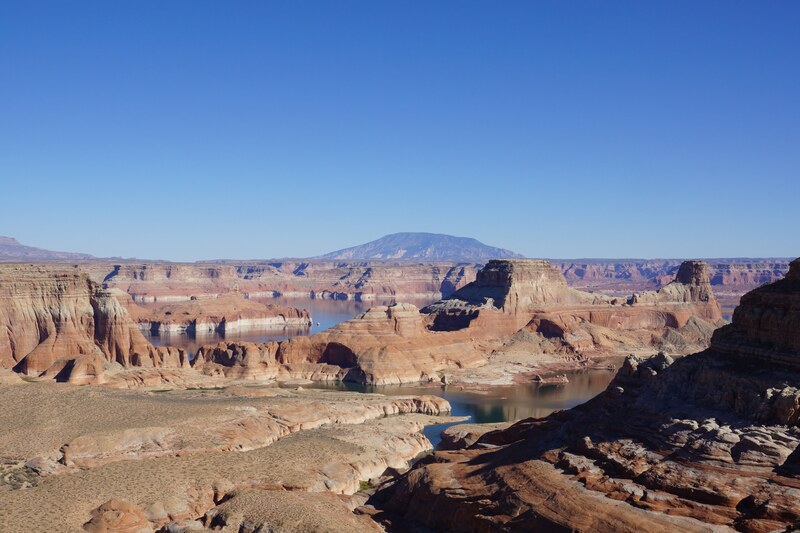 Back on Hwy 89a and take some pictures of the Vermilion Cliffs as well as of the Marble Canyon as we see it from the road. A few miles before Marble Canyon we also take some images of some rocks along the Hwy. Then we stop again at the bridge of Marble Canyon over the Colorado. Eventually we arrive back at the hotel shortly before 5:00 p.m., take a shower and go for dinner at Peppers again for Margaritas and Fajitas – mmmhhhh delicious!